I had heard of them but don`t think I had ever had one until now or maybe I had and thought it to be a Rapala. Either way I have one now and could not get a lot of info on them. 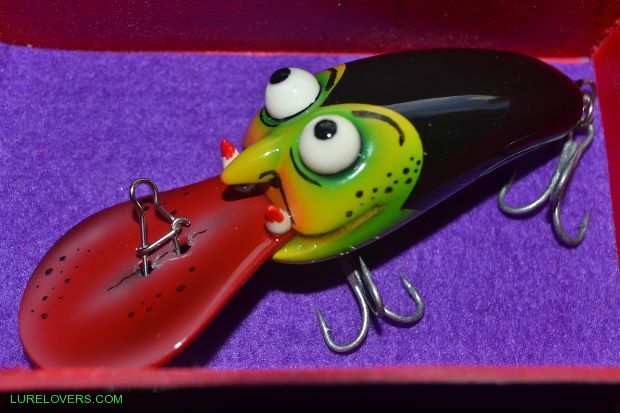 I googled and everything seemed to relate to McLaughlin` Bait Co Whom would appear only do Juro Lures today and even these appear to be a very limited range. Is there any Info or Charts to be found/seen on either or both McLaughlin or the older Juro Lures ? Have I got the right People/ Distributors/ Makers ? Are they still in production ? Interesting.............Rapala style bib. Hope someone can help. it looks like an old impala which was a south african company that made Rapala knock offs.Iheard Rapala bought this design off them so they woul'dnt be made anymore.Perhaps Impala made these for Mc Laughlins under contract? Yes it was Juro Ozpro Tackle that did the McLaughlin's range of lures. The McLaughlin's range of lures was available around 10 years ago and are no longer a part of our range. The lure you are talking about was a Timber lure with a Metal bib and they were very good on all manner of pelagic species. We eish you the best using them and that they bring you many memorable catches. However it appears that these were timber and to close to the same to possibly continue manufacturing if chalanged. Either way I think mine will become a ( Lisa Kenny/ Curry ) done all its major swiming and will stay dry and sit on the shelf.